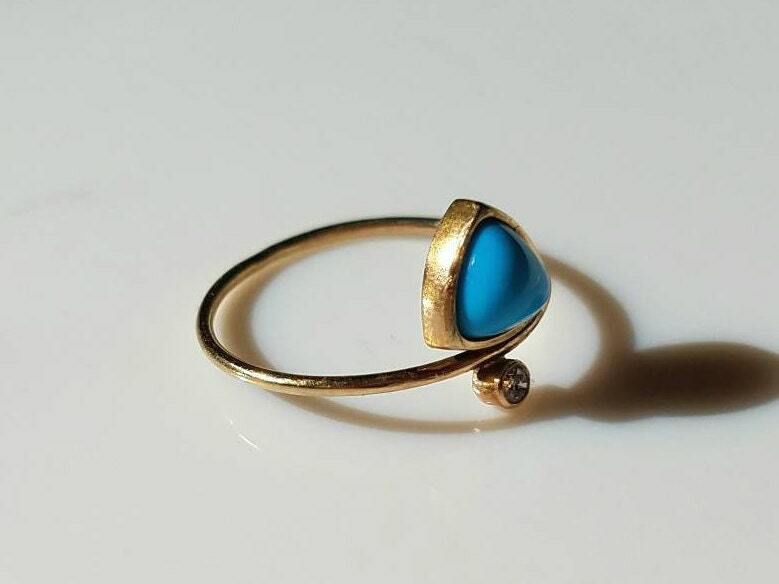 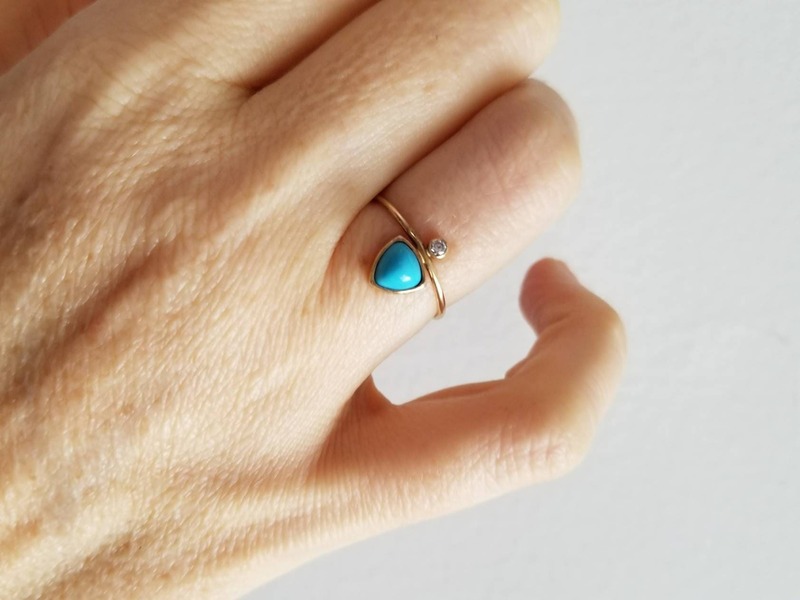 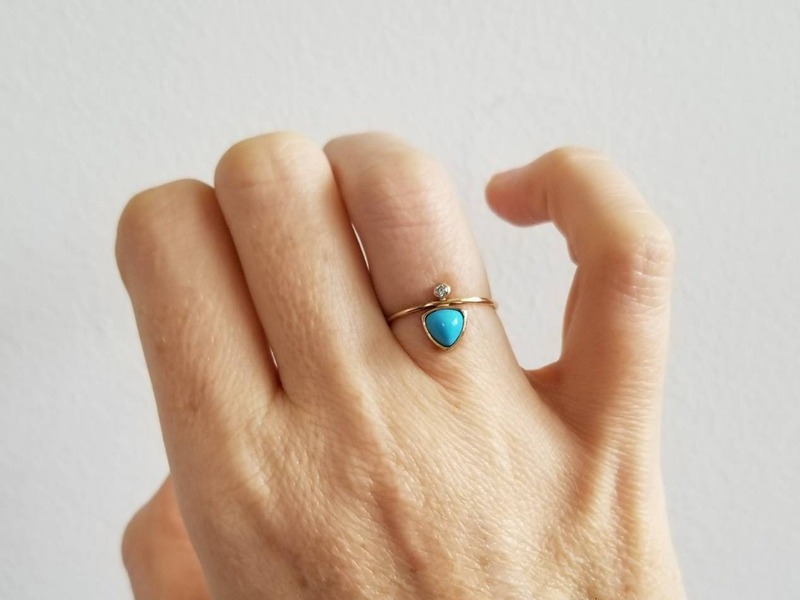 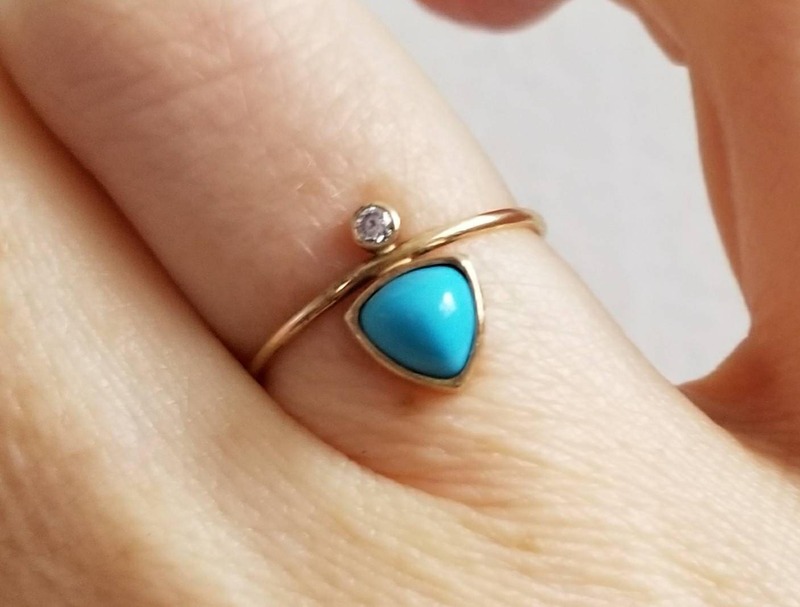 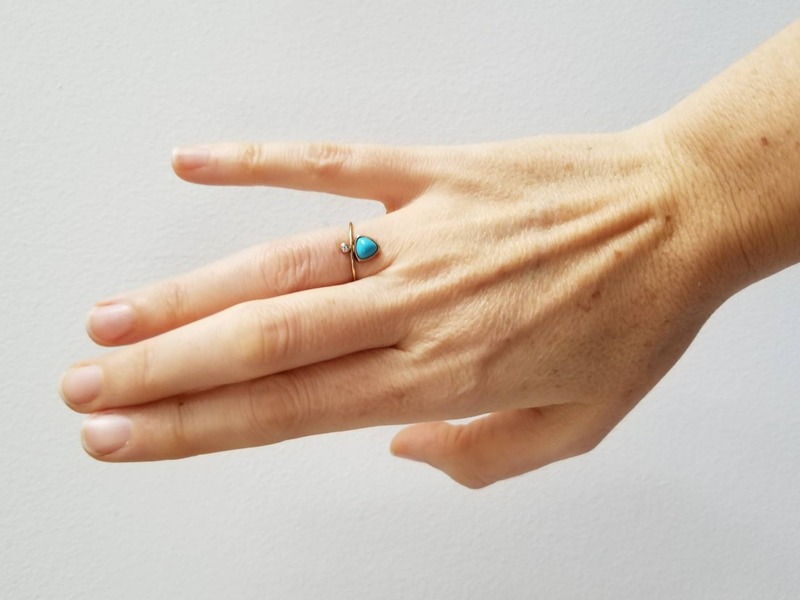 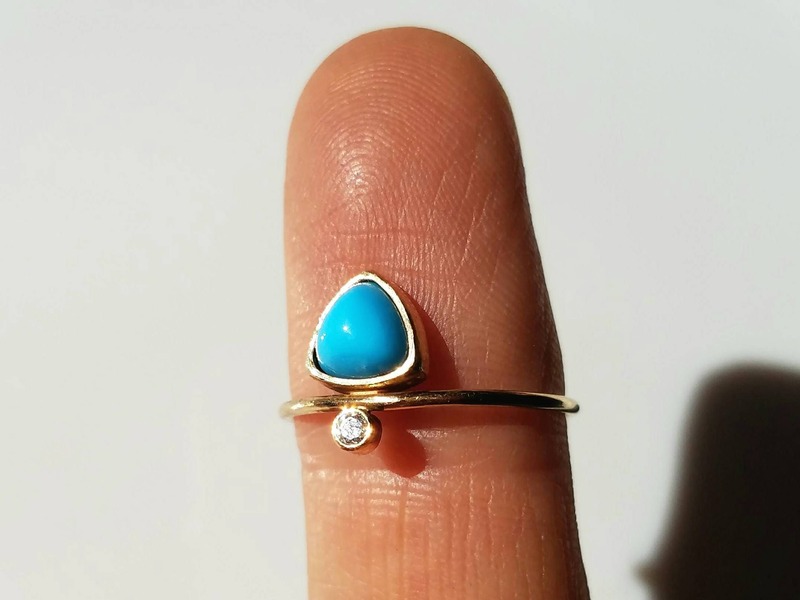 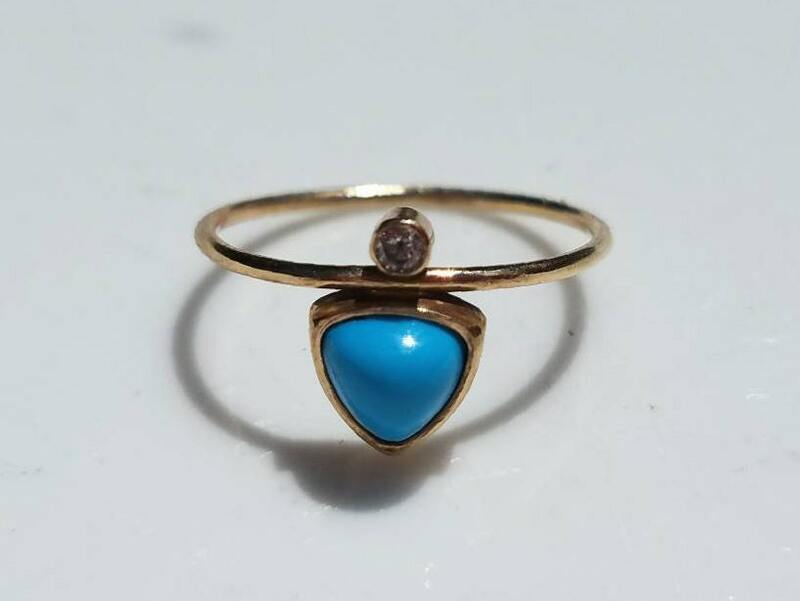 I created this ring around a beautiful sky blue trillion cut turquoise. 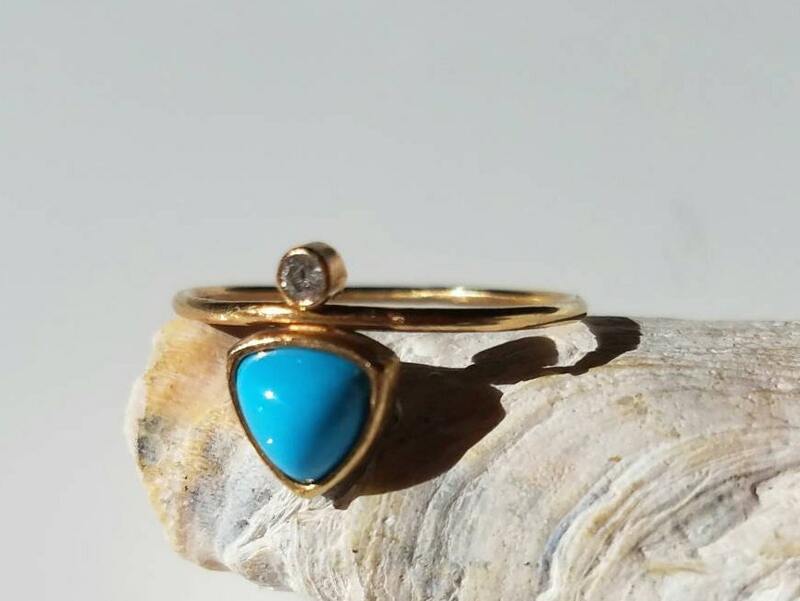 I set the stone in a 14k gold open back bezel and adorned it with a sweet 2mm sparkly diamond. 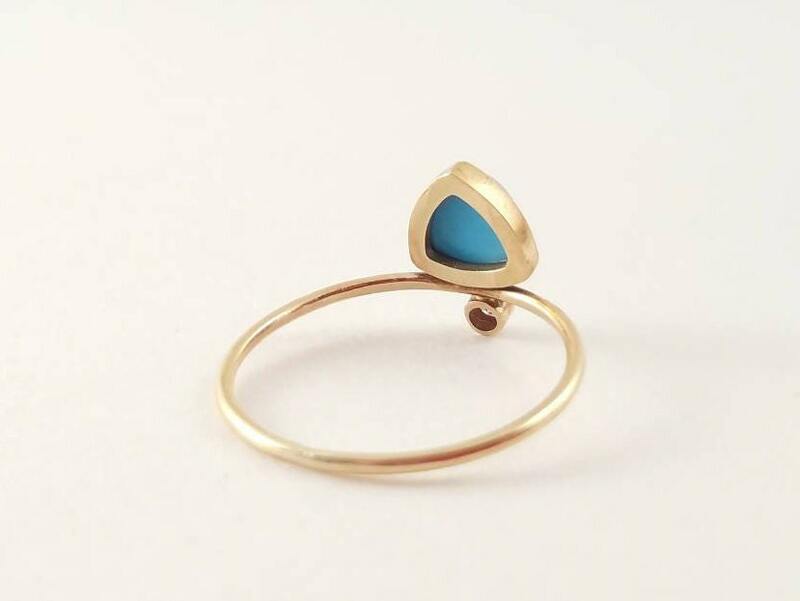 The band is made from recycled gold, 1mm thick and highly polished. 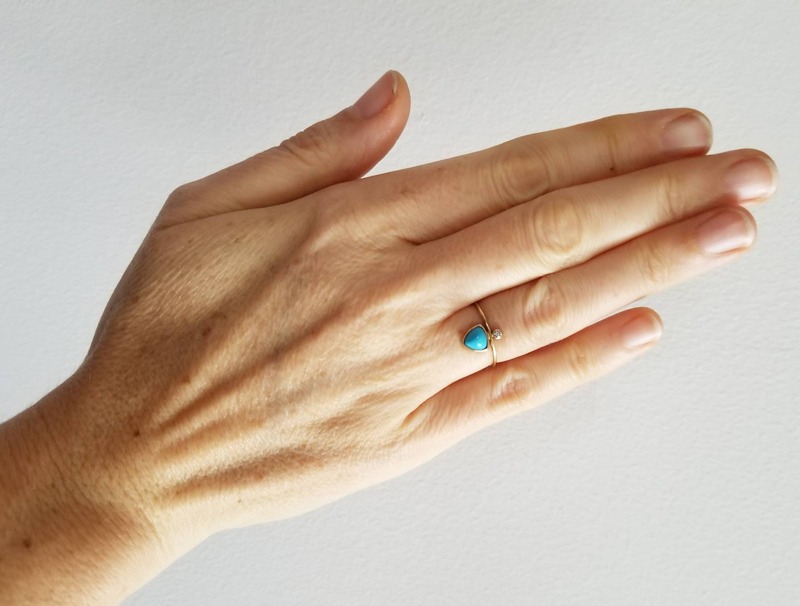 The ring is size 6.5.
from South Africa, mined & processed in compliance with United Nations resolutions prohibiting trade in conflict stones.